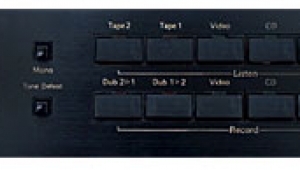 The center-tapped AC from the remote power supply is rectified to raw ±30V DC supplies, these dropped by RC filters to ±22.5V rails that are further isolated and smoothed for each channel's line and phono stages. 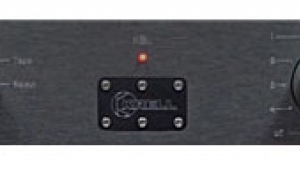 Contrary to modern practice, where engineers reach for a pair of three-terminal regulator chips almost by reflex, there is no voltage regulation at all in the YBA 2. Yves-Bernard André feels strongly that if the circuit is both complementary and symmetrical, and the layout of the signal paths on the printed circuit board are very carefully arranged, then noise, parasitic ground currents, and supply ripple will all be eliminated by common-mode rejection. Indeed, it appears to be so—see later. 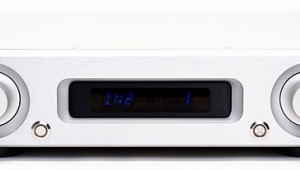 The YBA 2's direct-coupled phono stage consists of two physically separated areas on the pcb, one at each side, to minimize crosstalk. Twisted solid-core wiring connects each to the rear-panel RCAs. According to Yves-Bernard, the signal only travels through capacitors and transistors, there being no series resistors or inductors present. 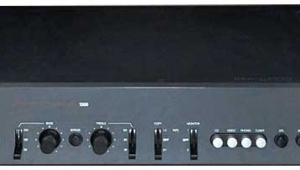 Parts quality is high, with gold-plated, nonmagnetic RCA jacks, two Noble triple volume-control pots (each with its three sections connected in parallel to reduce contact resistance), ERO polypropylene and polystyrene signal-path caps, and what resistors there are all appear to be premium Holcos. 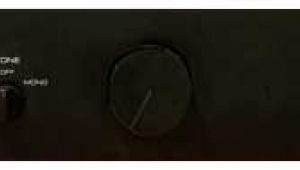 That there was an attentive mind behind the design is shown by the fact that the first pair of complementary transistors in the phono stage has damping felt separating their opposing flat faces; the output complementary pair is shielded from RF with copper foil. All the switches and pots have their terminals covered in a tacky rubber-like damping compound. As with all YBA components, it's important to optimally orient the AC plug in the wall socket. On and off, I used the YBA 2 for over two years. 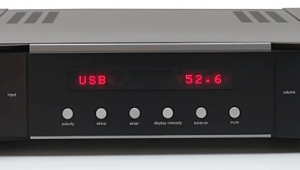 Some confusion over whether it was actually available in the US had put the review on hold for a while; once I was informed that YBA products were being distributed by Audio Plus Services, I re-scheduled the report. 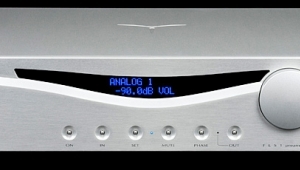 Via its CD inputs, the YBA's sound was characterized by its clean, very detailed presentation. 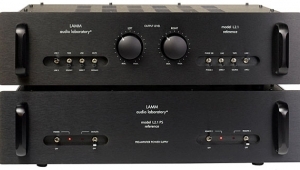 The low frequencies were tight and well-defined, but lacked the lower-midrange bloom of the tubed Melos. Though this gave the Melos the advantage when it came to reproducing classical orchestral music, the YBA edged out ahead on rock music, where its cleaner low-frequency presentation and greater subjective bass extension enabled it to score big time. On "I'm Home Africa," from Stanley Clarke's East River Drive CD (Epic EK 47489), for example, second bassist James Earl does some real deep octave-dropping in the continuo riff. Via the Melos, it was relatively hard to hear the changes in pitch; the YBA's pitch differentiation in the lowest octaves of ultra-bass was superb. I got clarity and weight—two aspects of bass reproduction that so often are mutually opposed—which combined to give an excellent sense of musical pace. This was the area where the YBA also consistently outperformed the McCormack TLC-1 that I also review in this issue, which otherwise offered similar upper-frequency transparency. 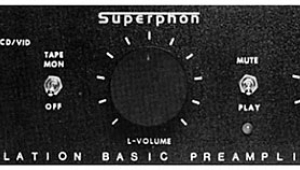 The YBA's line stage also offered greater clarity in the highs, the Melos's top octave sounding a little shut-in in A/B tests. This clarity was sometimes a little too much of a good thing, however. While I would never call the YBA's high frequencies "tizzy," they were always noticeable in a way that wasn't so with the Melos. 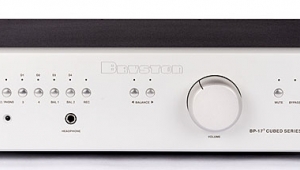 This was also true in comparison with the somewhat dark-sounding Classé Six, though the Canadian preamp had rather more of an electronic edge to the sounds of voices, violins, and brass instruments than the French preamp. In fact, the YBA's signature was refreshingly clear of hash, sizzle, grain, chalkiness, and all those other descriptive nouns that signify something seriously wrong in SolidStateLand. 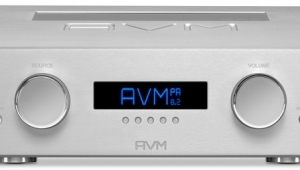 Its midrange sounded very liquid, its high frequencies clean. 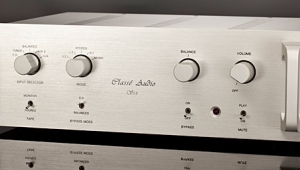 The Classé's low-frequency presentation and overall tonal balance were also more akin to those of the Melos, but with greater lower-midrange clarity. It also offered more image depth than the YBA, though, to my surprise, I could actually hear more ambience and longer reverberation tails with the YBA 2. For example, the entry of the baritone soloist in my excerpt from Elgar's Dream of Gerontius, on the second Stereophile Test CD, illuminated the acoustic of England's Ely Cathedral to a noticeably greater degree with the YBA than with the Classé, yet the latter presented both baritone and choir as being farther away and better differentiated depth-wise. 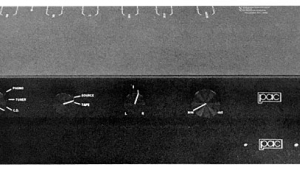 The YBA's overall sound was the cleanest, most detailed, and most transparent of the three preamps, yet its presentation was not quite as palpable, the Melos consistently winning out here. Where the Classé scored over both the YBA and the Melos was in its presentation of image height. I know, I know, this phenomenon isn't supposed to exist. But on my Gerontius recording, I could quite clearly hear via the Classé Six that the choir was standing on tiered risers, compared to the orchestra, which was placed on the floor of Ely Cathedral. Via the YBA or Melos, the singers sounded more in the same vertical plane as the orchestra. Weird. 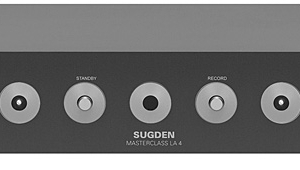 To sum up the YBA 2's sound with CD: On the very positive side, it was clean, clear, and transparent, with liquid-sounding mids, tight, extended, superbly well-defined low frequencies, and a good sense of pace; on the slightly negative side, the overall presentation occasionally verged on sounding lean, with slightly tipped-up highs, which could become a mixed blessing on recordings that were already overcooked in this region. Also, in absolute terms, image depth was not as well-developed as I would have liked. 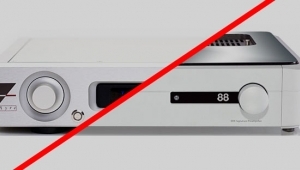 Nevertheless, it offered silver-disc sound that was consistently enjoyable.